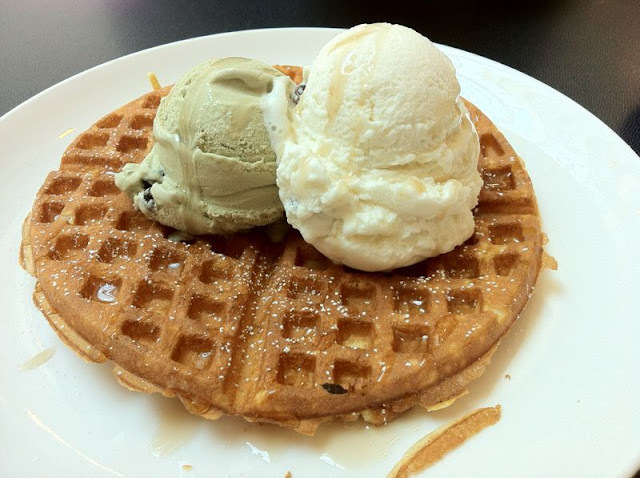 Love their crispy thin waffles (love-hate thing I know. some people like it fluffy not me) that pairs very well rum raisin gelato. The rum raisin kinda drowns out the green tea, so maybe a chocolate flavour would be a better combi.